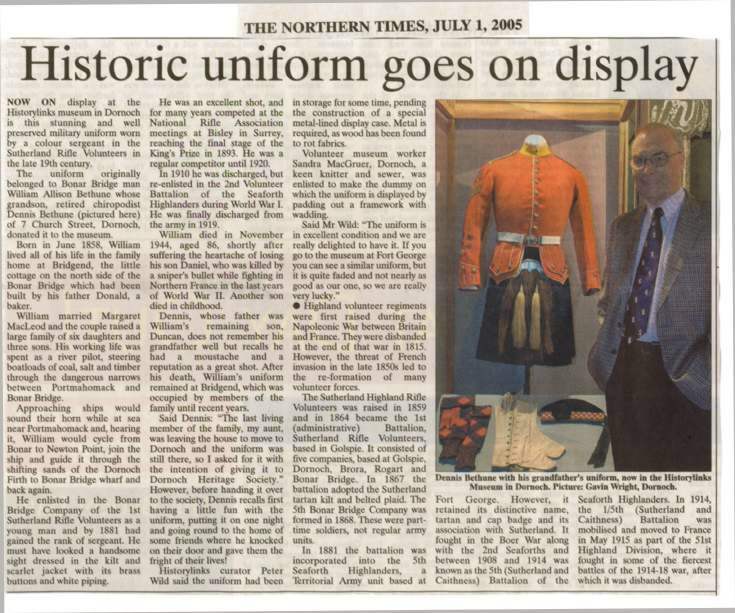 Northern Times newspaper cutting, July 1, 2005 with title 'Historic uniform goes on display' describing the Historylinks display of the uniform of Colour Sergeant William A Bethune. Includes photograph of the display with Dennis Bethune who donated his grandfather's uniform. Article includes detail of the life and service of William Bethune.